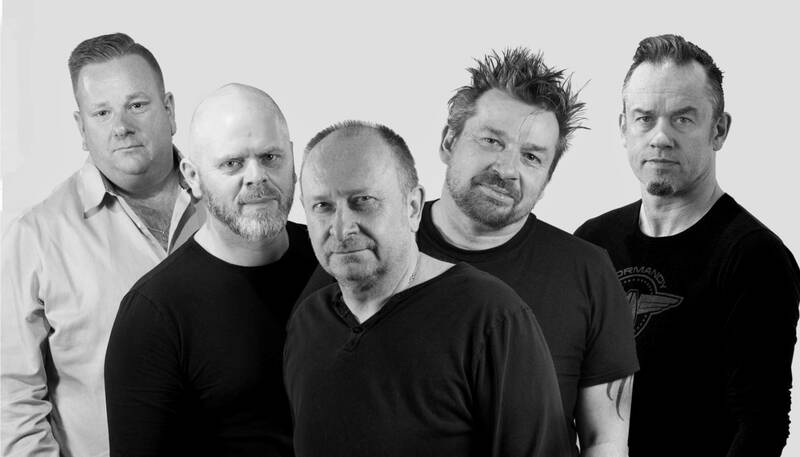 Galahad formed in 1985 just for fun playing a mixture of covers (Genesis, Zeppelin, Rush, Sabbath, Focus, Marillion etc. ), in order to get gigs(!) plus some original material. Then, after mixing it with the slightly ‘bigger boys’ such as IQ, Pendragon and Magnum, Galahad decided take it more seriously, playing only original material resulting in the release of their first proper album in 1991, ‘Nothing Is Written’, which was self-financed, released independently but which sold several thousand copies. Over the years Galahad have gone on to play hundreds of shows all over the UK, Europe and America releasing ten studio albums, three rarity albums, a double CD best of and numerous live albums/DVD’s along the way as well releasing albums by offshoot projects such as Galahad Electric Company and the Galahad Acoustic Quintet. 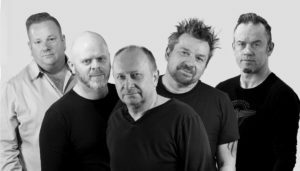 The band have never been ones to rest on their laurels and have been constantly evolving over the years soaking up a number of different influences, always looking forwards. Their trio of recent studio albums ‘Empires Never Last’, ‘Battle Scars’ and ‘Beyond the Realms of Euphoria’ have taken them towards a heavier, more muscular, guitar orientated direction combined with a liberal use of sequencers and more groove/dance orientated beats creating a unique modern sound whilst retaining very occasional nods to their ‘Progressive’ past. In 2013 the band published their official biography ‘One for the Record’ accompanied by a DVD anthology containing rare footage of various performances over the years. The band also played a few very successful European dates as well as the renowned Baja Prog Festival in Mexico. 2014 saw the band release several EP’s containing acoustic versions of several songs from ‘Euphoria’ and ‘Battle Scars’ as well as re-workings of older songs. 2015 marked the 30thanniversary of the band which commenced with the re-release of a re-mixed and re-mastered version of the 2007 ‘Empires Never Last’ album in January followed later in the year by a best of collection ‘When World’s Collide’, which included a selection of songs from throughout band’s lengthy career including some re-worked versions of older tracks plus the band also played a few special shows to mark this particular milestone. 2017 saw the band release the ‘Quiet Storms’ album which shows a more pastoral, mellow side to the band. 2018 saw the release of a full on prog/rock album ‘Seas of Change’ which, in true ‘Prog’ tradition, contains just one long form 42 minute piece of music which was performed (almost) in its entirety at all live shows in 2018 which included performances in the UK, Poland, The Netherlands and Norway. 2018 also saw the publication of the updated second edition ‘One For The Record’ the official Galahad biography which is also being published in Poland, in Polish! Galahad were also nominated for the 2018 UK Progressive Rock Awards in the ‘UK Band/Artist of the year’ category, eventually won by Steven Wilson. 2019 will see the band mainly concentrating on writing/recording a new studio album as well as working on another exciting re-issue project. There are also a few live shows in the pipeline.